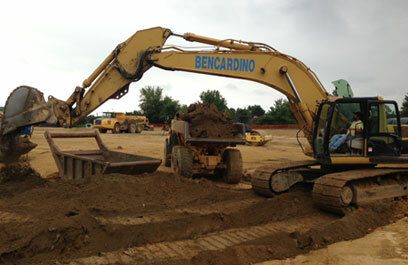 Bencardino has the skill, capability, capacity and equipment to plan and complete all mass excavation projects. Core excavating services include: demolition, fine grading, clearing, rock-blasting, underground utility installation, plumbing and sewer construction. 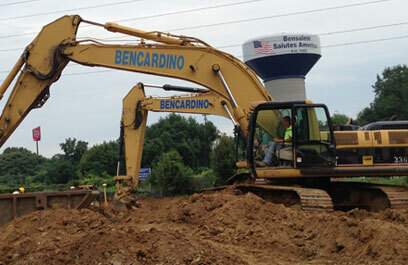 The Bencardino team has successful experience in a range of projects including reservoirs, landfills, commercial and industrial complexes. Each unique project is assigned the right project manager, experienced crew and equipment fleet to ensure your site is always completed on time and within budget. Bencardino has been doing the critical path work for us…on a job site (Fish Ladder) that’s very demanding with a lot of unknowns. I chose to work with them because I knew I was getting a company that could do the work, handle the change, and do it safely.